I made a serendipitous discovery the other day, a discovery that countless bakers have made throughout time eternal. On a quest to make chocolate chip cookies, it was discovered by my young charges that no chocolate chips remained in the cupboard. Instead, we found a bag of Hershey bars. So, we chopped them up into large chip-sized pieces and used them instead. You know what happens when you use chunks of chocolate bars instead of chocolate chips in cookies, besides the inevitable Chocolate Chunk Cookies? First, they’re bigger, so you get these pockets of chocolate explosions when you eat the cookies. Second, the edges melt into the cookie dough, permeating more of the cookie with chocolatey-ness. Chocolate chips are formulated to hold their shape while baking (less cocoa butter); chocolate bars are made to melt the moment they enter your mouth. We used milk chocolate bars for this recipe because that’s what we had. While milk chocolate was a favorite when I was a kid, it is less so now. I usually prefer the darkest chocolate available. However, in this recipe, the milk chocolate chunks work great. They give a warm creaminess to the cookie that wouldn’t be there if you used semi-sweet or bittersweet chocolate. That said, use whatever chocolate you like. We also brown the butter in the first step of the recipe. Browned butter adds a wonderful nutty aroma to the dough. It’s an added step, but one well worth doing. To freeze cookie dough: Scoop the cookies onto a cookie sheet lined with parchment or a silicon baking mat. Transfer to the freezer and let freeze until the cookie dough balls are solid. Then transfer the frozen cookie dough balls to a freezer container and freeze for up to one month. Frozen cookie dough balls can be baked directly from the freezer; just add a few extra minutes to the cooking time. To freeze baked cookies: Cool completely, then transfer to a sheet of aluminum foil. You can stake the cookies two or three high. Wrap the foil tightly around the cookies, then transfer to a plastic freezer bag. Freeze for up to three months and thaw on the counter before eating. Can’t Get Enough Chocolate Chip? Try these! Updated March 22, 2019 : We spiffed up this post to make it sparkle! No changes to the recipe itself. We brown the butter first in this recipe because browned butter adds wonderful flavor to the dough. If you are short on time or don't want to bother, you can skip browning the butter, just start with room temperature butter. 2 Brown the butter: Melt the butter in a medium sized, thick-bottomed, stainless steel saucepan (use stainless steel so you can tell when the butter has browned) on medium heat. 3 Whisk together dry ingredients: Place the flour, salt, baking soda, and cinnamon in a bowl and vigorously whisk together. 4 Beat brown butter and sugars, then add eggs and vanilla: Pour browned butter into the bowl of a stand-up mixer (if you don't have a mixer, you can just beat by hand). Add the sugars and beat until smooth. Add the eggs, beating after each addition. Add the vanilla extract and beat for 3 more minutes. 5 Add flour mixture to wet ingredients, then stir in chocolate chunks: Stir the flour mixture into the butter sugar mixture a third at a time. Stir in the chocolate chunks and the nuts (if using). Up to this point you can make ahead a day or two and store the cookie dough in the refrigerator until ready to cook. 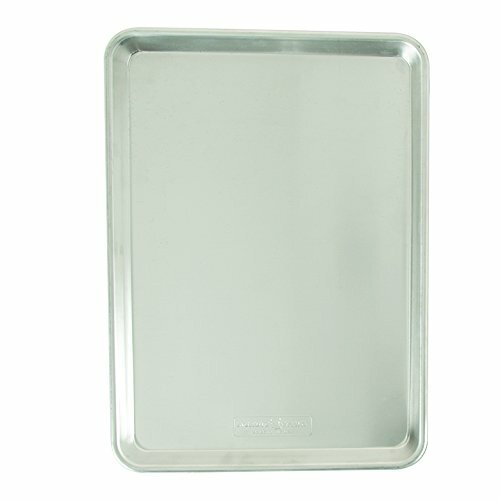 6 Spoon out cookie dough to lined baking sheet: Line cookie sheets with Silpat or parchment paper (or just lightly butter) rimmed cookie sheets. Spoon out heaping tablespoon hunks of batter onto the cookie sheets, separated by at least 2 inches, allowing room for the cookies to spread as they cook. You may need to work in batches. 6 Bake at 350°F for about 12 minutes, the edges of the cookies should be just a little browned. Remove from the oven, let cool on the cookie sheet for 5 minutes. Then remove the cookies to cool completely on a rack. Hello! All photos and content are copyright protected. Please do not use our photos without prior written permission. If you wish to republish this recipe, please rewrite the recipe in your own unique words and link back to Browned Butter Chocolate Chunk Cookies on Simply Recipes. Thank you! Hi, Frances! Unfortunately, I don’t think these cookies would work quite as well with less sugar. I’d recommend finding a recipe on a website or cookbook that caters specifically to diabetic-friendly diets. Sorry I couldn’t help! These by far are the best cookies ever! The brown butter makes such a difference, I’ve tried this recipe with a ton of different things (peanut butter chips, heath bar mix, white chocolate, dark chocolate, m&m) And my family just loves them! Great recipe! Thanks for sharing! I’m so glad you like the cookies Marie! Brown butter really does make all the difference. I was wondering if I could use hershey’s milk chocolate bars in this recipe? Would it still turn out right? Hi Marie, I’m pretty sure it was Hershey’s Milk Chocolate bars that I was using to develop this recipe, so yes, you can use those. These are delicious! So glad I gave them a try! Browning the butter is so worth it! These are Divine. I forgot to add the vanilla and they still tasted incredible!!! I made these for a Relay for Life bake sale. I had three to a bag for $2 and 20 bags. The cookies were about 4″ across. I like big cookies. A lady bought one bag. Less than 10 minutes, she was back and bought the other 19 bags. Are these cookies good! HECK YEAH! Thanks for the great recipe, Elise. These turned out to be a beautiful tan color. I refrigerated the dough over night and it was extremely hard in the morning, so I don’t think I needed it to sit. After whipping the butter mix for 3 minutes made the dough thick enough. They’re delicious for sure! Hi, Marion! Emma here, managing editor. By the time you finish beating the butter with the sugar, it’s generally cool enough that it won’t affect the eggs. However, if you’re worried, there’s no harm in letting the butter cool down a bit before mixing the dough! I cooled it for awhile because the chocolate was melting – which isn’t necessarily a bad thing. This recipe is delicious. I made these today (eating one right now as I type this review). After reading reviews, I cut back on the flour by a quarter cup. I did not refrigerate dough before baking, and the cookies were perfect. Delicious! I have made your Oatmeal and Chocolate Chip cookies often (they are a true family favorite, thank you!) and I love the flavor the browned butter gives. I would like to suggest for anyone struggling with texture that they chill the butter after browning it. The butter should be solid but not hard to properly cream with the sugar. I have figured this out through making them a ridiculous amount of times, and it’s a great tip! i just made these tonight after watching your facebook tutorial. They turned out amazing! Thanks for creating and sharing some an awesome recipe! I have to echo other concerns that the cookies are not flattening out. I followed the recipe to the letter and am having the same issue. Is there, perhaps, a problem with the recipe? Hello James, perhaps! Or perhaps it has to do with how the flour is being measured. I lightly scoop flour into a measuring cup and then sweep the top level with a dinner knife. If you scoop with the measuring cup, or you pack it down, you’ll have more flour than you need. The next time I make this recipe I’ll measure in weight as well to make sure that we have more precise directions for the flour amounts. That’s the only thing I think could be causing a problem. Possibly the best cookies I’ve ever had. I’ve made it a couple times, and it usually turns out slightly dry for my taste, but just adding a tablespoon of water to the dough helps a lot. Also, DO make sure you refrigerate the dough before baking, so that the center stays soft. The colder, the better. These come out pretty much exactly like the picture, in my experience. I’ve been baking these cookies about year and a doubt my families favorite, thanks Elise your are a gem. I made these cookies and followed the recipe exactly. My dough came out a strange consistency more like caramel than cookie dough and the cookies look nothing like the ones in the picture and have a cake like consistency. What went wrong here? Hi Jackson, I have no idea. Hi Jackson, mine did too actually but they cooked up nicely. (I wondered at first that maybe I only put in 1.5 cups of flour!) Also, because the dough was so smooth and creamy, I added just a few tablespoons of flour to the chocolate chunks and mixed that up before I put them in the batter. Maybe that helped the consistency after baking? When I make these cookies the batter turns out dense and the cookies barely spread/flatten. I’m not sure if it’s the browning butter isn’t dark enough or that once I beat it in the stand mixer the mix of butter and sugar is sandy. Please help! OH MY….this recipe is SO GOOD…the first chocolate chip cookie that doesn’t spread all over the pan…I made half a recipe…but I can tell you this is going to be my “go to” chocolate chip cookie recipe from now on, sorry Toll House….I used all dark chips…. Hey! If you are making cookies and they just end up spreading all over the pan, like you wrote in your comment, try refrigerating your dough before putting on the baking sheet to bake them! That was a great tip I heard and (even though with some recipes it’s unnecessary to chill the dough first) it really helps out with some cookie recipes. Some need chilled from an hour to 24hours, but it might not even take a whole 60 minutes to get it where you need it. Anyway, I am definitely baking these cookies later. I have a question about the recipe. I’ve made the recipe three times now following all the steps exactly, save for the stand mixer because I only have a hand mixer, and the cookies never spread out like yours in the picture. Is there something I’m doing wrong? Thanks. I’d try adding a tablespoon of water to the dough, it may be too dry.